Drawing from the existing best practice of the Queensland University of Technology (QLD QUT) in Australia, the ICARD project develops a transversal, transdisciplinary European Career Development Programme (ECDP), a learning programme, covering the entire study cycle (entry-ongoing-exit). 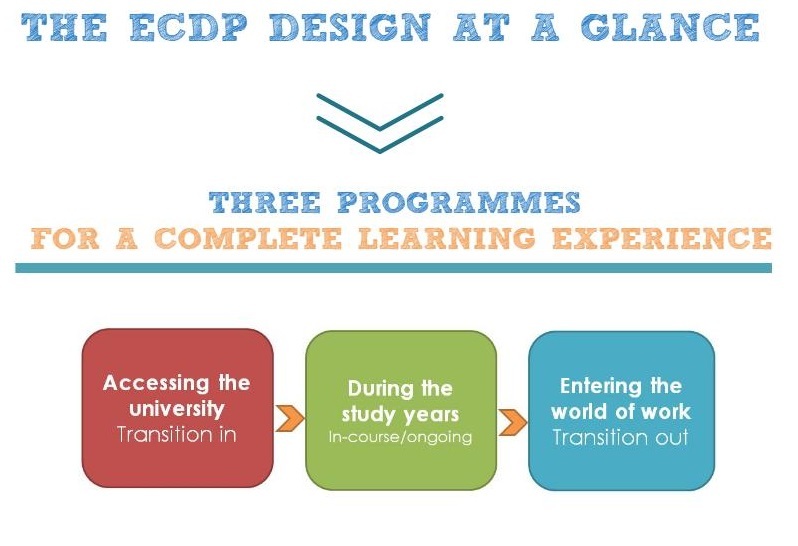 The ECDP aims to provide University students with personalized and systematic guidance and individual support, helping them realise their potential, abilities, competencies, skills and ambitions and build their career path. Self-awareness of young people’s own skills is a key competence for informed educational choices and dynamic entry to the labour market. Self-development and Career-management skills are an equally significant step to a successful professional development. Students equipped with a higher and profound awareness about their actual competences, expectations and career plans have greater chances for increased employability upon exiting the University.